An early build of Android 9.0 Pie for the Galaxy S9+ was leaked online earlier this week, offering us a look at some of the changes the new software will bring to Samsung’s 2018 flagship. We already saw the screenshots of Android Pie with the new Samsung Experience 10 UX on the Galaxy S9+, and the folks over at XDA Developers have now released a video showing Pie in action on the device. The leaked Android Pie build has a notably different card-based user interface, with even the options in the phone’s settings divided into different cards. On Pie, each subsection of the phone’s settings has the title of that menu at the top, followed by the various options that you can modify. Bixby has an upgraded UI as well, although the functionality reportedly hasn’t changed much. 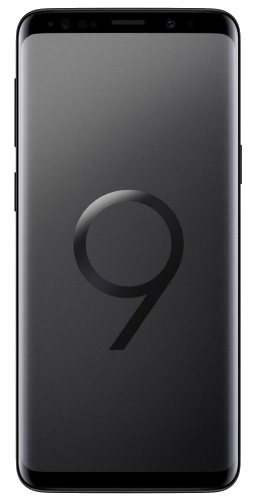 Of course, this is a very early build, so the final Galaxy S9+ Android 9.0 Pie release might be drastically different. You can check out the video below and, if you have the Snapdragon version of the Galaxy S9+ in the US and are feeling adventurous, you can try out the leaked build yourself. Do tell us what you think about what you’ve seen of Pie on the Galaxy S9+ by voting in our poll. Don’t worry. if you didn’t get the update yet, I can tell you that in the last update the rounded corners are still there, but the phone is more smooth and these rounded corners now got their color changed and they’re not so noticeable anymore. You can try the update, but I recommend you to wait to get it OTA, because even now there still may be improvements waiting to come. Samsung has been better at designing its UI design. This Samsung Experience 10, so far, is a big setback compared to Samsung Experience 9.x, which has not evolved much compared to Samsung Experience 8.x. It’s not shown in the video, but swiping up on the home button gives the recents menu, and swiping right on it scrolls through the recents like on google’s pie. Strangely, i don’t think it works when the gesture nav is enabled so none of it really makes sense. There’s a lot things going wrong in this UI, mostly structural problems, the way of the elements are arranged, how the screen space are harnessed and these separate cards touching the borders. Even talking about a very early build, this is worrying!